» if anyone else has posted this before, but you can get them cheaply here. Nope, no need for a prescription. Right now i am responding well to revivogen and spectral DNS. If down the road i dont see the results i find satisfactory i will give this cream a shot also. » satisfactory i will give this cream a shot also. Detailed drug Information for Nizoral Topical. Includes common brand names, drug descriptions, warnings, side effects and dosing information. I get mine with a prescription. With my health insurance its 5 bucks for a large tube. Been using it for 2 months now. has it done any good for you so far chia? isn’t this just an anti-fungus cream? what’s got to do with hair-growth? » isn’t this just an anti-fungus cream? what’s got to do with hair-growth? » has it done any good for you so far chia? The shedding seems to have halted and my scalp is not as oily. No regrowth yet that I can see. I’m not looking closely for peach fuzz, as I don’t consider that progress. Many people have reported peach fuzz with minox, but those hairs never became terminal. Less oily = less shiny scalp, so that is a nice side effect. It also has anti-androgen properties. Also supposedly plays a part in regulating the immune response. » » has it done any good for you so far chia? » minox, but those hairs never became terminal. » Less oily = less shiny scalp, so that is a nice side effect. you think you get dark teminal hairs sprouting from a bald scalp? 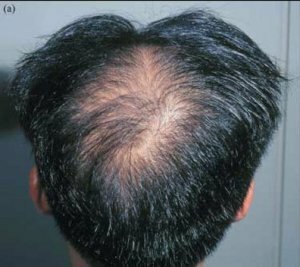 » you think you get dark teminal hairs sprouting from a bald scalp? The only comparison I’m making is that they both grow peach fuzz. I realize peach fuzz can become terminal, but that doesn’t mean it will. Some people using minox reported peach fuzz that never became terminal. If your hairs become terminal, congrats. Then I will agree the results are good (with the photos of these hairs of course ). 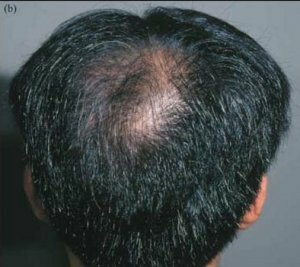 » » you think you get dark teminal hairs sprouting from a bald scalp? » realize peach fuzz can become terminal, but that doesn’t mean it will. » Some people using minox reported peach fuzz that never became terminal. » are good (with the photos of these hairs of course ).